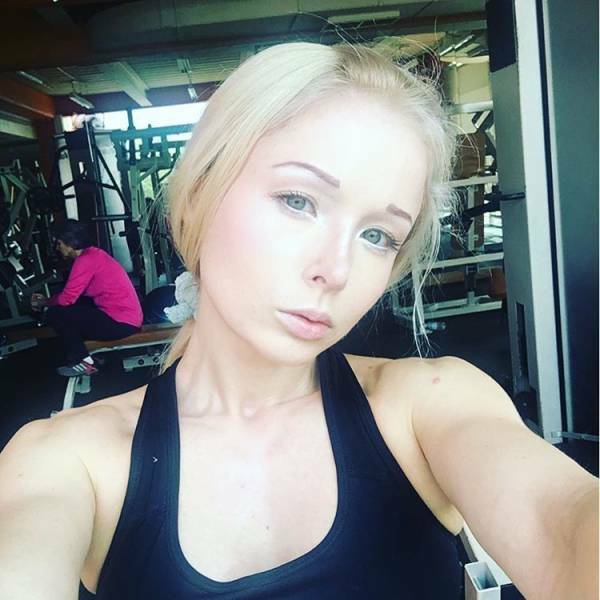 Valeria Lukyanova, 31, is famous for her Barbie image that she had been creating for years. 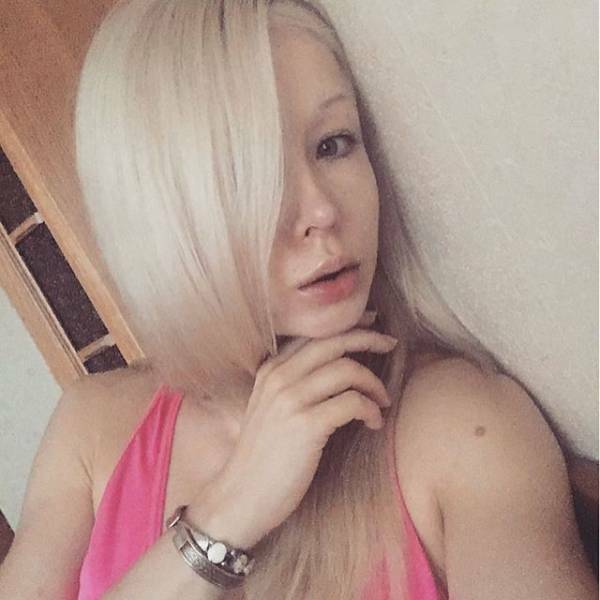 Though, she was heavily criticized for modifying herself so much, so she decided to reveal herself without makeup. 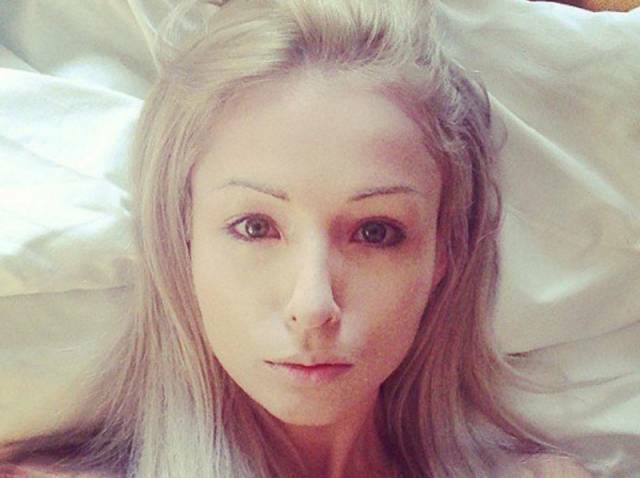 Valeria claims that she creates the Barbie image only with makeup and special lenses which visually enlarge her irises. Her body was altered only once with a bust operation, and her figure is slim due to hard trainings. 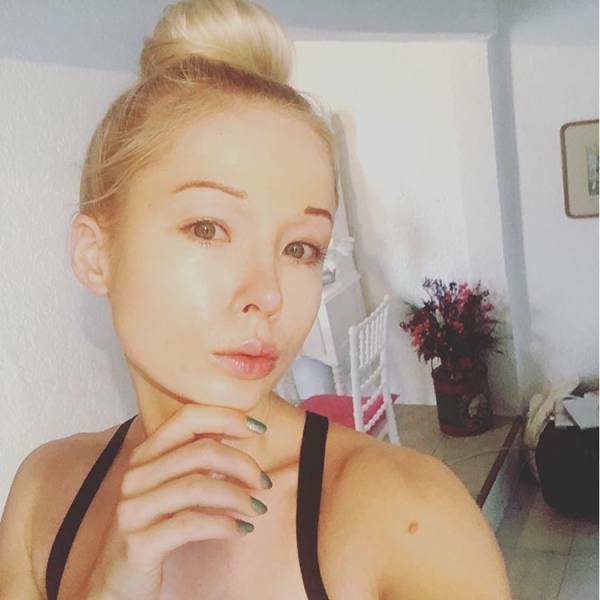 Lots of people think she looks much better without makeup, and what do you think?